The performance of a laser facsimile and a laser printer, with the speed that today's businesses demand. 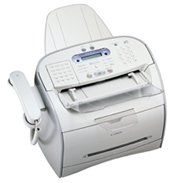 With state-of-the-art fax capabilities and a 19 page-per-minute printer, this space saving business machine is the ideal choice to replace your old ink jet or thermal fax. Convenience copying adds to the performance of this cost-effective solution. 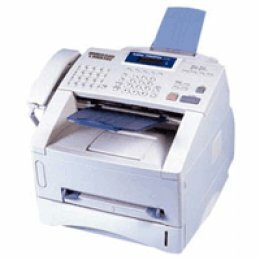 With features such as a 50-sheet Automatic Document Feeder, Super G3 fax speed and large fax memory, the FAXPHONE? L170 can keep pace in any busy office. A front loading paper cassette adds to the convenience. The telephone handset included allows for added versatility. Users will find the functions easy to use on the smartly designed control panel. Move up to an office solution that provides powerful laser fax and printing features in a space-saving desktop design. The FAXPHONE L170 will provide any modern office with the quality laser performance required for today's demanding business environment.